1.selecting or choosing from various sources. 2.made up of what is selected from different sources. 3.not following any one system, as of philosophy, medicine, etc., but selecting and using what are considered the best elementsof all systems. 4.noting or pertaining to works of architecture, decoration, landscaping, etc., produced by a certain person or during a certainperiod, that derive from a wide range of historic styles, the style in each instance often being chosen for its fancied appropriatenessto local tradition, local geography, the purpose to be served, or the cultural background of the client. I'm beginning this post with the deffinition of Eclectic because I can think of no truer eclecticist then Holly of Tuscan Road Designs. I am awestruck by the combinations of media that she creates her unique pieces with. 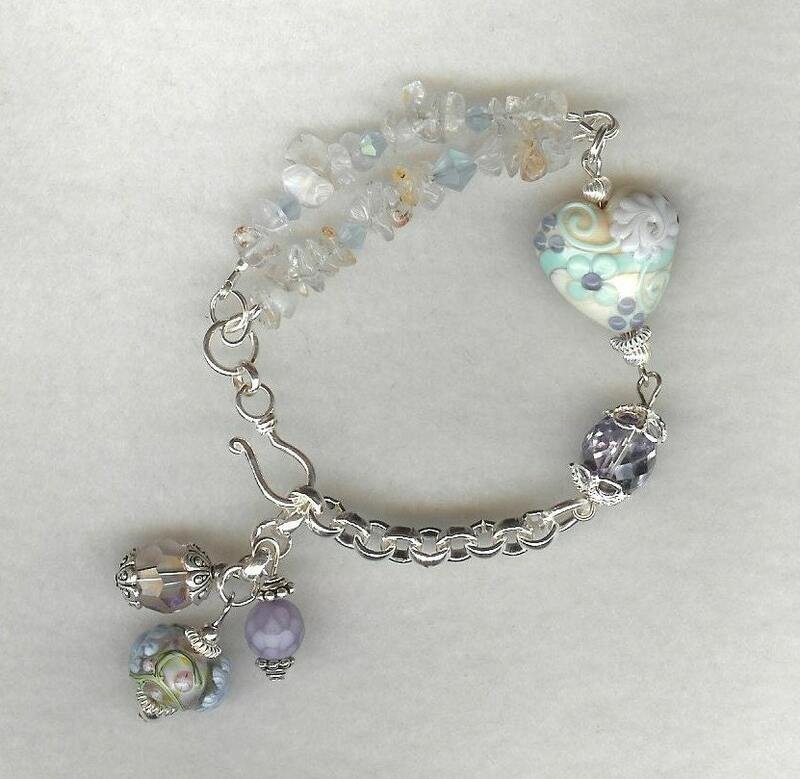 Lampwork, Swarovski crystal, natural gemstones, charms & a variety of chains give her a multitude of possibilities; each one is varied as the colors of the rainbow. Above are but a fraction of her pieces. 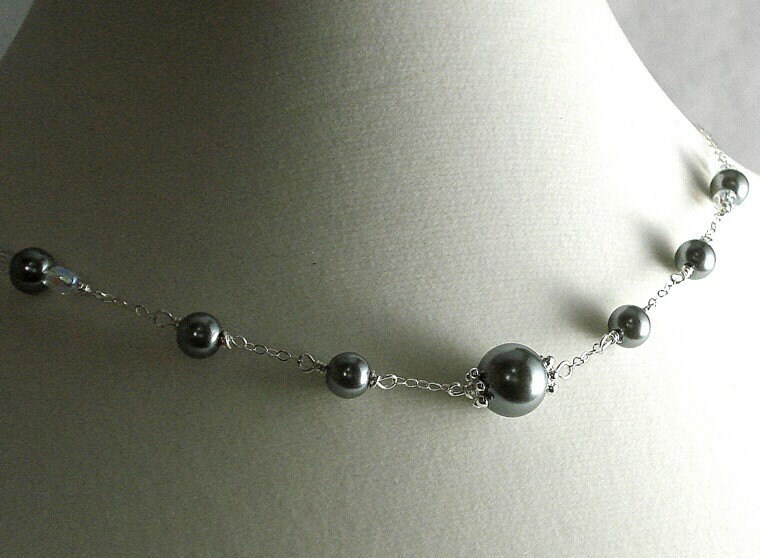 To fully get a feel for Holly's work please visit her shop, fanpage and blog. 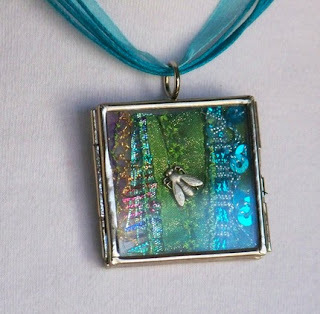 Jewelry by NaLa features the works of artist who has appeared all over the internet, she's been featured in several treasuries and on Indy Spot, as well as being a member of Handmade Artists Forum, Jewelry Makers Network, Vegan Craft Samples and Indiepublic. 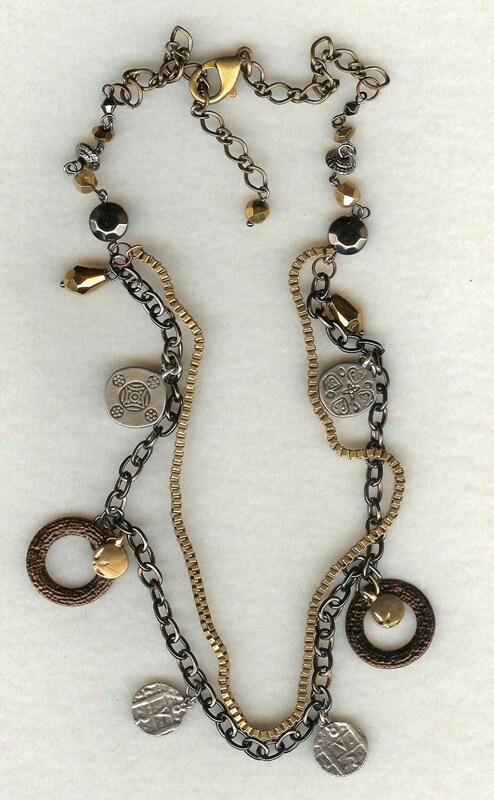 I must say her short description "Delicately Elegant Jewelry" is truely all it takes to describe her works. They are all delicate as well as extremely elegant and I could spend the entire day drooling over some of her pieces. She is one of the most generous artisans I have had the pleasure to meet this year. She is continually promoting other artists on her facebook page, featuring at least one HAF artist a day and helping others feel great about themselves by posting heartfelt comments. I'd like to showcase a few of her outstanding pieces and let you go wander her store for the rest. New month and I'm determined to stay on track with my blog ring this time around. So without further adieu here are the beautiful and talented artists of January 2010. For the first artist of January we highlighted Speranza Jewelry, which you can read about here. Our second artist should have been Libby of raven333 and I was such a slacker... so please read on for a review of her fantastic fiber arts. Libby is an artist I personally can identify with as she too battles depression and the roller coaster of trying to find a good balance in medication. I give her major props for continuing to do what she loves and also sharing with us during her difficult times. January 26th she posted an article title One World One Heart Blog and Give Away should you be interested in obtaining one of her fantastic green felt scarves I highly reccomend heading over there and participating. In looking at her works I saw a wonderful variation of abilities, her felt work is key and many of her pieces contain her own fiber work but she is also an accomplished beader and then of course there is my favorite of her pieces, Celtic Dragon Art Doll. 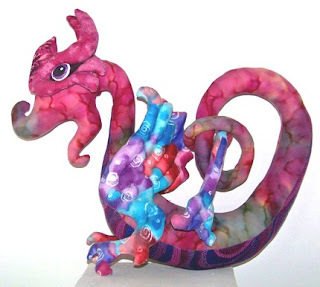 I love dragons, celtic work and this little guy is just fantastic! He is a sold piece and I have not seen anything else like him listed, perhaps one day a comission will be arranged and I too can have a beautiful dragon as well. Apart from her crafting she also has 25 years with the Center for Disease Control as a microbiologist and currently pursues a Graphic Arts degree! Go Libby! Can't wait to hear who your winner is and see what the rest of the year brings for you! Below is the afore mentioned dragon as well as a few examples of Libby's varied creations.